Blue, red, yellow, pink, and green crayons, one set for each student. Students will be able to identify word patterns that rhyme and write words ending in “og,” “at,” “ug,” “ig,” and “en” under the correct word family house headings. 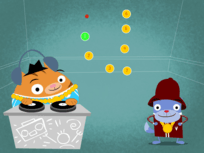 Write the words fat, cat, and hat on the board. Ask students to “echo read" the words after you say them. Have students figure out what is similar within the three words. If help is needed, underline the "at" portion of each word. Once students identify that all the words have a similar ending sound, explain that this similarity means that the words Rhyme. Go on to explain that since all these words have the same ending sound that they belong to the same Word family. 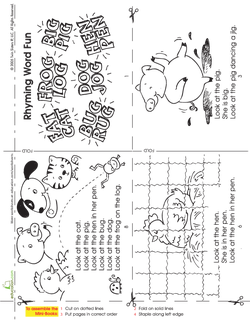 Pass out Rhyming Word Fun mini story books, sets of crayons, and clipboards or other hard surfaces to write on. Group read the first page. Have students identify which words belong together in a word family. Have students colour these blue. 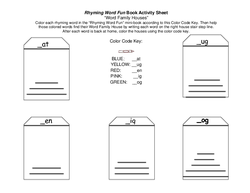 Repeat for each page, following colour code key from Rhyming Word Fun Activity Sheet. 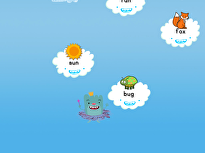 Distribute the Rhyming Word Fun Activity Sheet to each student. Demonstrate how to transfer the highlighted colour words from the mini story book to the stair step lines on the document projected from the overhead transparency, document camera, or interactive whiteboard. Direct students to copy your example. Use overhead marker or highlighter to highlight colour words on the projected document to help students figure out what colour to “paint” each word family house. Ask students what colour they should use for each word family to verify understanding of instructions. Check if students have questions. 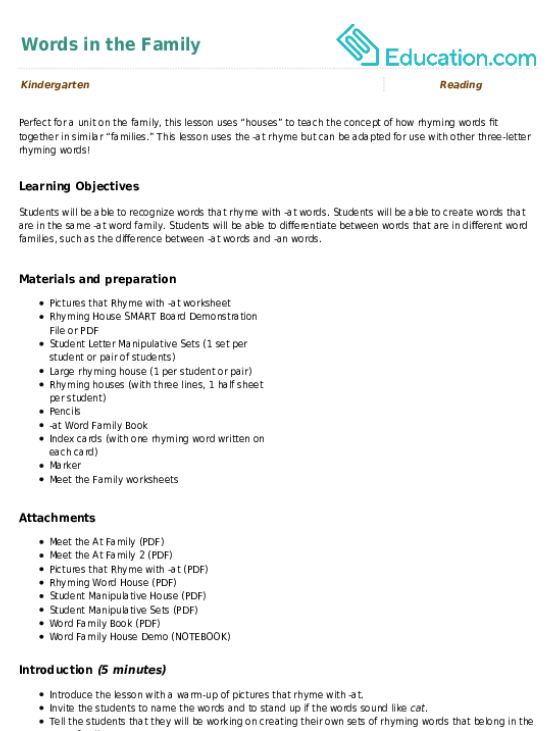 Have students complete the activity sheet as demonstrated. Rotate around the room to check for understanding. Enrichment: Have students who need more of a challenge think of more word families and create houses for them on the back of the paper. 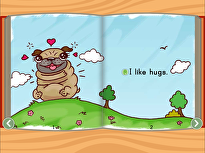 Students can then write a new word family story with the rhyming words. Support: Pair struggling students with proficient student mentors. colour word family houses for students with trouble transferring information and direct them to match colored words to the same colored house. Interactive whiteboard could be used for example page. 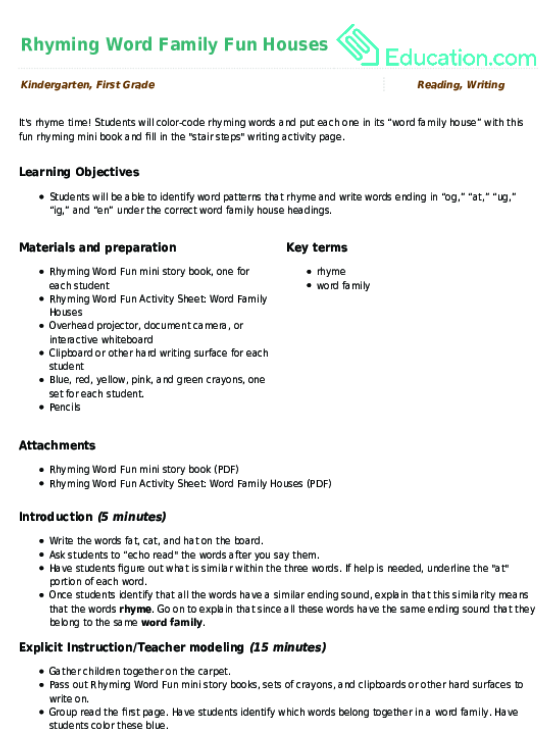 Using the projected image of the activity sheet, complete the word family houses. Go over each item as a whole group. Ask students to circle any errors with a crayon, then replace the error with the correct word. Gather students together on the carpet in a circle. Say a word from a word family house, and ask the first person in the circle to say a word that rhymes with it. Continue around the circle with additional word family words until each student has had a chance to give a rhyming word. Ask students to pair and share with the person next to them one new word that was learned today.